Ever waste valuable munch time poking at your platter of ‘cue looking for the fattiest, juiciest, smokiest flecks of meat? That’s BBQ blasphemy. Fortunately, DC’s newest smokehouse, Fat Pete’s Barbecue does all the work for you by serving up The Best Thing on the Menu: Burnt Ends. This Kansas City BBQ staple basically amounts to the fatty, charred points of brisket. 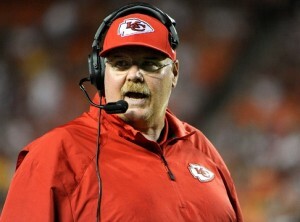 Why do you think Andy Reid has gotten even larger since he arrived in KC to coach Jamal Charles and the like? Here’s the secret. Fat Pete’s brisket is smoked for 18 hours. This is awesome enough on its own, but the burnt ends are smoked even longer – four more hours to be exact. Be prepared to fight your friends for the last bite, because as with all precious commodities, the number of burnt end orders are limited. You’ll find them in the appetizer section, and even though they don’t need any sauce, this is a good opportunity to audition the restaurant’s six different sauces for your main course. We suppose if you’re desperate to try the burnt ends you can call ahead, and then get your BBQ-loving buns in a seat as fast as possible. Even if they’re out, all is not lost. Pete’s pretty much can do no wrong. 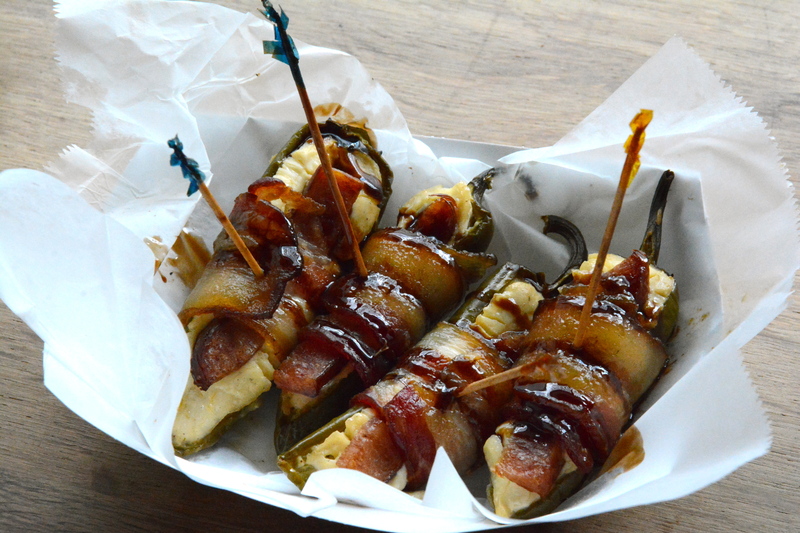 Another can’t miss dish is the “ABTs,” also known as BBQ Crack. The pit master, Woody, stuffs jalapeños with cream cheese, tops them with little smokie sausages and wraps them with bacon before smoking them and drizzling them in balsamic. 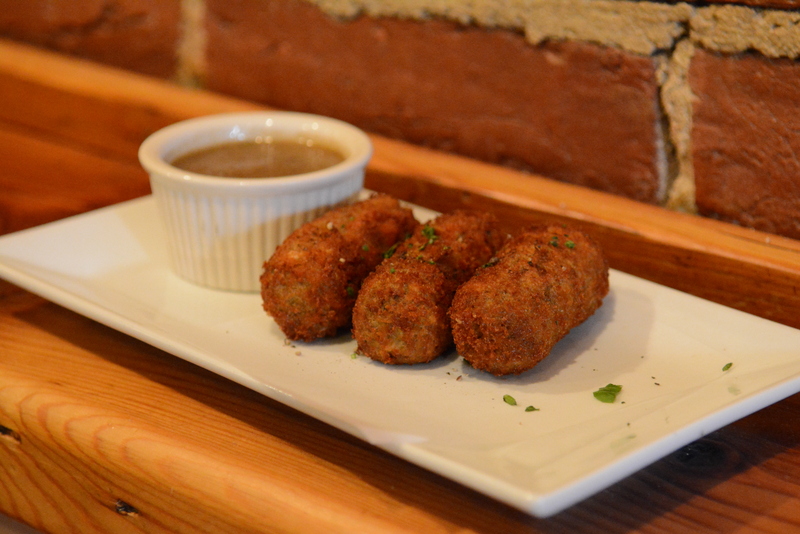 Also try the tasty brisket melt sandwich, St. Louis style ribs and locally-made pie for dessert. 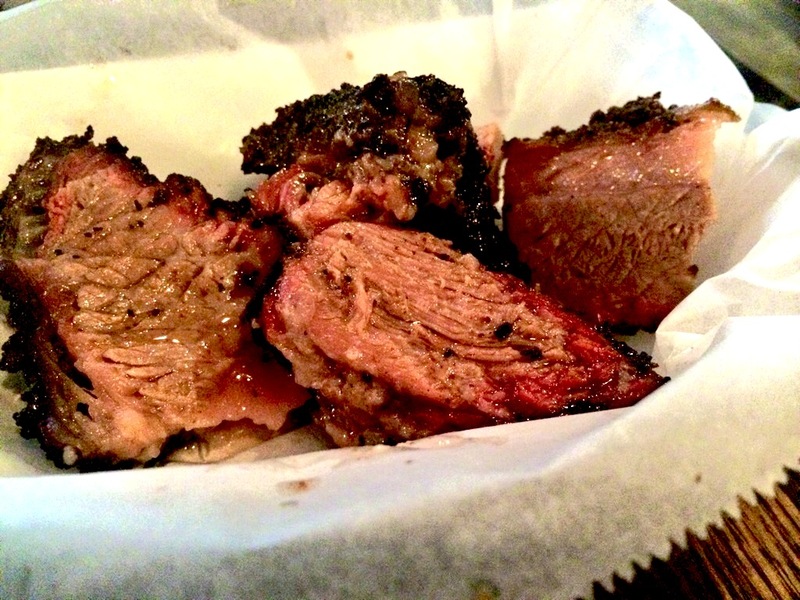 Burnt ends not your BTM? Share your favorites in the comments section. Fat Pete’s Barbecue is located at 3407 Connecticut Ave., NW. Have you tried wine from all ten Beaujolais appellations? How about trying them all in one night? Oh, and by the way that night is a Monday. 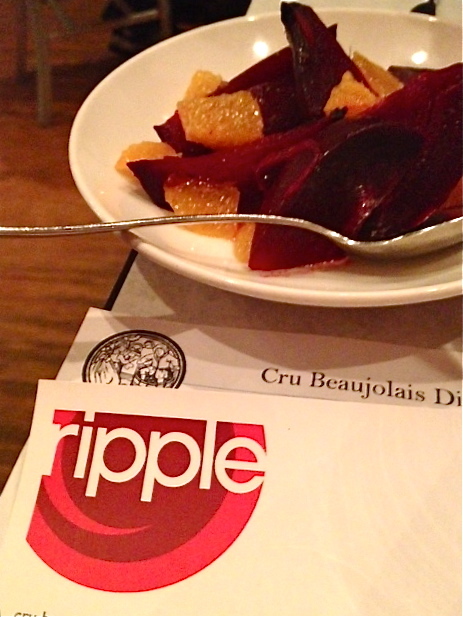 This Monday funday wine safari, called a Cru Beaujolais Dinner, was held at Cleveland Park’s Ripple. Executive Chef Marjorie Meek-Bradley and her team joined forces with Best Thing on the Menu’s favorite wine shop, Weygandt Wines, which also calls Cleveland Park home. The two were a perfect pairing from the start. Wines from Saint Amour, Juliénas, and Chénas started the night, paired with farm fresh beets, red onion and orange salad; broccoli raab, tomatoes and chili; and a mini charcuterie platter. All dishes were served family style at this intimate gathering of 40 Ripple and Weygandt Wines loyalists. Chef Meek-Bradley put together an earth-driven dinner to match the earthy wine. In an interview with Best Thing on the Menu, she shared her inspiration for cooking. “I believe that my biggest inspiration is the farmers and people that I work with,” she said. “Being from California, I was raised to believe that food is something to be shared with people and nurturing. Also that you should cook seasonally and locally. I try to follow these rules when writing our menu,” she continued. 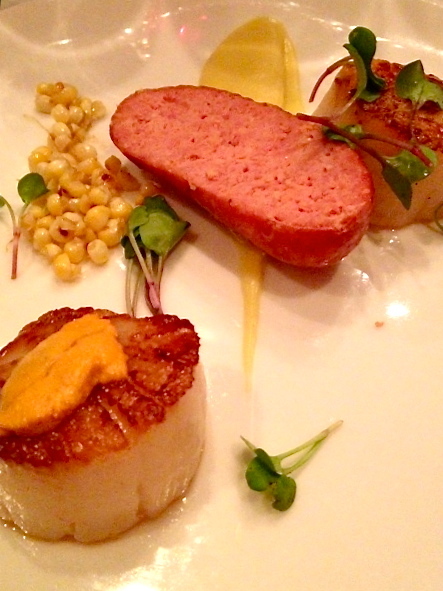 After savoring the first course, we moved on to Cote de Brouilly, Brouilly and Régnié, which boldly accompanied the chef’s scallop served with Andouille sausage, sweet corn and uni. The chef took a different approach to the class scallop and bacon combination by going with smoky, spicy sausage instead. And, who doesn’t love a little dollop of uni now and again. 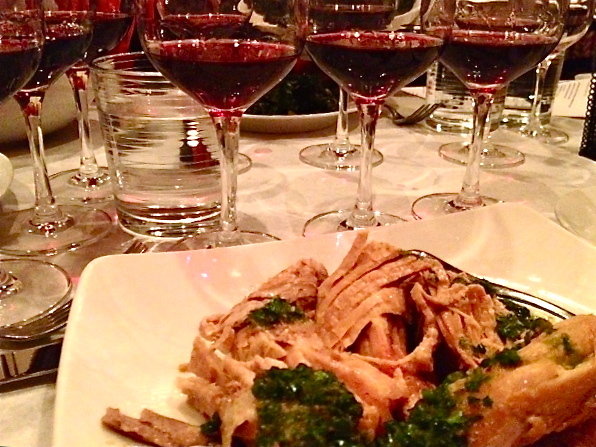 The main course of Berkshire pork shoulder, farro risotto, mushrooms, crispy kale and braised swiss chard was served with the Morgon, Moulin à Vent and Fleurie. Dessert was vanilla bean-ginger panna cotta, which received a pour of the last remaining “cru,” Chiroubles. We no longer trust folks who say you can’t drink red wine with dessert. The pairing was magical. There you have it, all ten crus were consumed before the check came. But what do we mean exactly? Beaujolais generally refers to the powerhouse wine region of southern Burgundy. There are ten small villages (aka “crus”) that comprise the upper echelon of the area. Experts say that each one has a unique terroir that is imparted during the wine making process. The goal of the dinner was to taste, appreciate and differentiate between the ten different terroirs of neighboring villages. An even playing field was created because all of the wines (except one) were from the same vintage. The grape you ask? It’s gamay. The food and the wine both impressed, so we will surely return to Ripple to dine off of Chef Meek-Bradley’s menu. The Chef recommends her Carrot Cavatelli with Lobster. 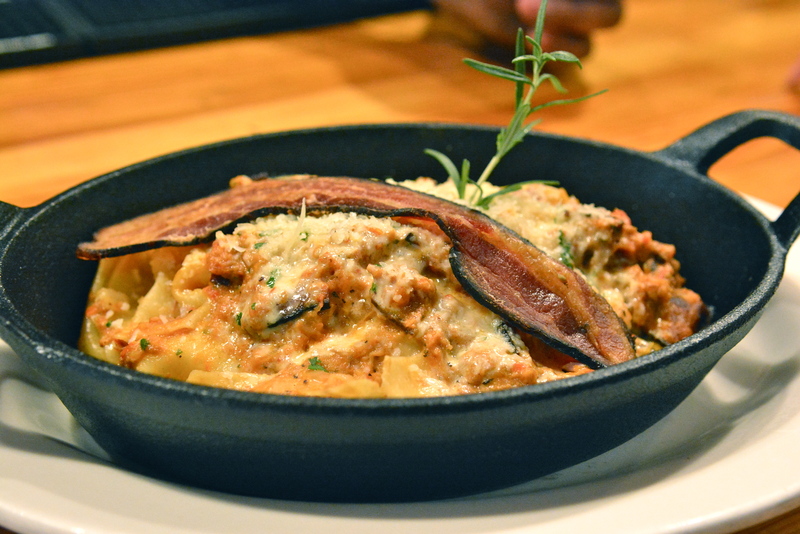 “People seem to love the combination and say the dish is rich, yet light at the same time,” she said. Now that we’ve taken Ripple special events for a test drive, we happily recommend their upcoming Farm Dinner Benefitting the American Cancer Society on September 4th. Learn more here. 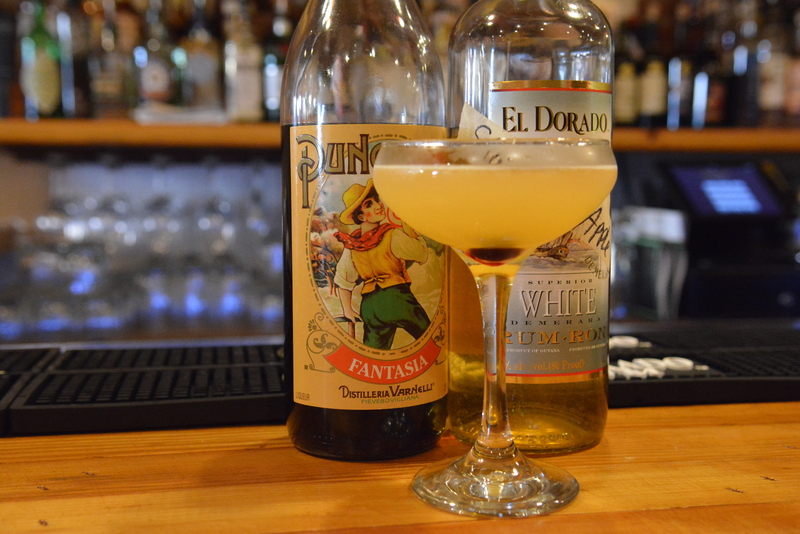 Before dinner, be sure to check out Weygandt Wines across the street. Tim O’Rourke and his team are always pouring samples over a great map of France and will enthusiastically educate you on what you’re drinking. 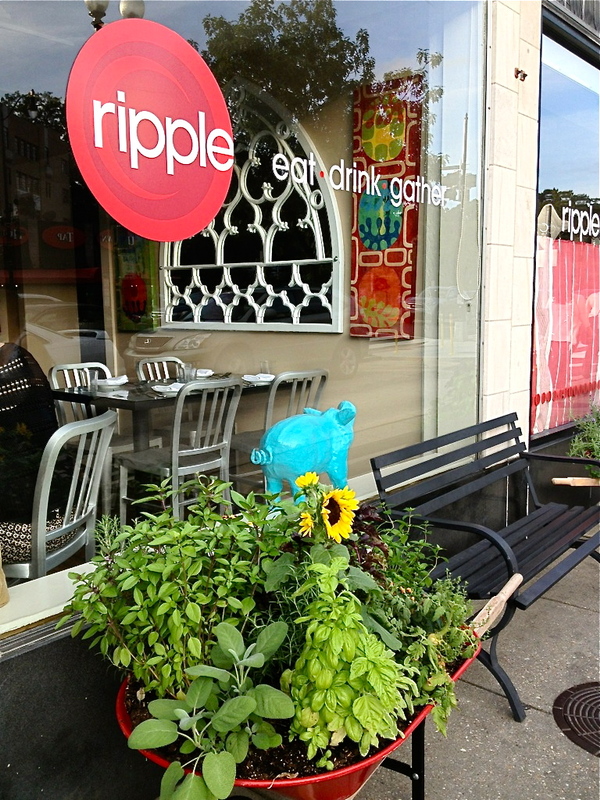 Been to Ripple? Share your favorite dishes in the comments section.